I am currently working on some kind of filters for the list of tournaments on the Tournaments Tracker. I want to make it easier for you to access to an information of interest. 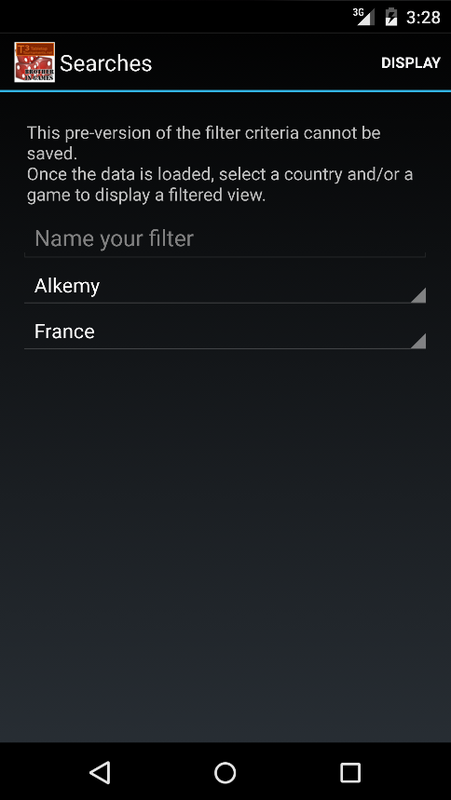 So, I am adding what we can call filtered views so the list will filter the tournaments by country and/or game. At this point, I have added that list view and the form from which you can set up a new filter. But a problem arise last week and dealing with it will have some consequences which can delay the release of this feature. There is some Parse-specific code in the app especially in everything concerning the data management. Cleaning up that code is not complicated but spending time on it means spending less time on features improvement. So, the consequence of the Parse-specific code is that if I want to finish the filters list view, I have to add specific code that I will have to get ride of later. The best thing to do is to start removing that code dependency right now. But that means to break what is done until now. Before doing that, I prefer to release a version where you can filter the next tournaments view. 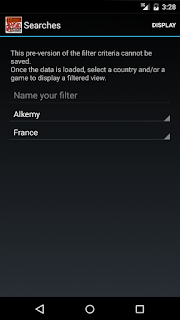 The currently release gives you access to the filter criteria form. The next release will allow you to save your selection. Because of the users management consequences I will have to deal with, I have disabled the sign-in. You will not be able to create a new mail account. If you have already created an account, you can still access to it. You can also log in the app using your Facebook profile. The user management will be my priority for the next release, together with the filtering of the tournaments view.